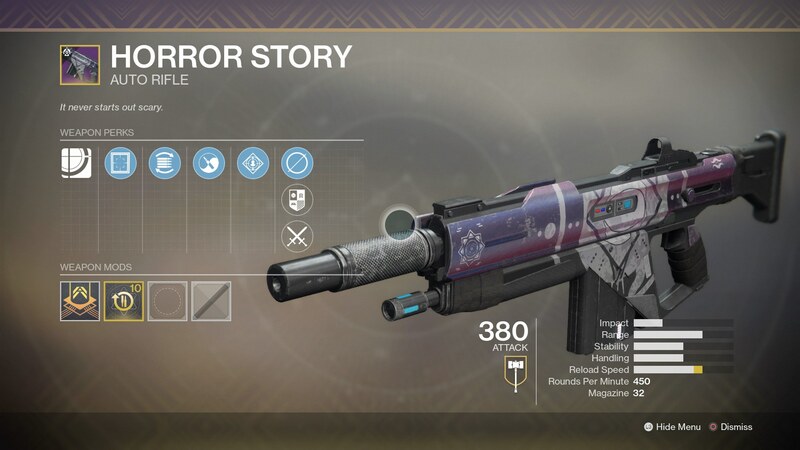 The Horror Story is a brand new weapon for Destiny 2 players, but it's only available to earn while the Festival of the Lost runs on until early November. 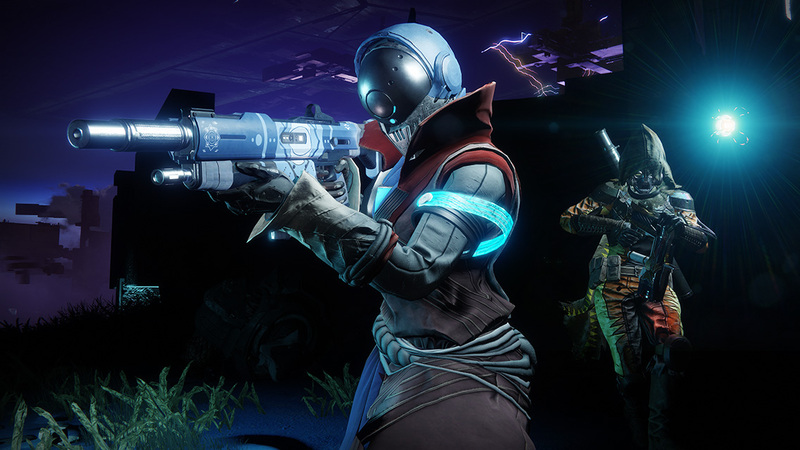 In this Destiny 2 Horror Story guide, we'll be walking you through how to earn Fragmented Souls quickly, so you can grind your way to the new weapon as easily as possible. If you instead need any additional information on the ongoing Halloween event in Bungie’s FPS, you’ll want to head over to our Destiny 2 Festival of the Lost guide. It’s on this main page that you can find all the information you need about all the new gear available through the event, as well as how to get started with the new horde mode, found in the Haunted Forest. When you next jump into Destiny 2, you’ll find that The Tower has been redone in a Halloween theme. Head over to Amanda Holliday to kick off the Festival of the Lost quest line, which will firstly have you completing two Lost Sectors on Io. After this, Holliday will assign you another quest in the Haunted Forest, which you need to undertake while wearing one of the new masks available in the festival. 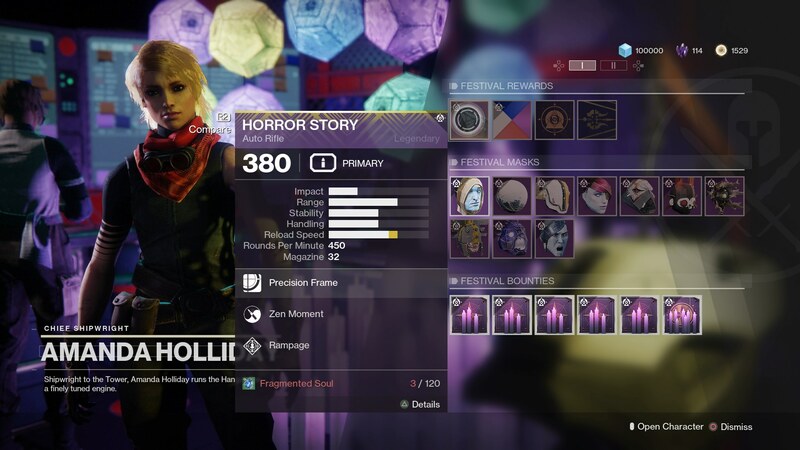 Complete this, and when you return to Amanda in The Tower, you’ll see that the Horror Story auto rifle is on sale from the ship vendor, for the small price of 120 Fragmented Souls. Earning all these Fragmented Souls is no small feat. Just below, we’ve compiled a list of some of the Bounties you can accept from Holliday, which will dramatically speed up the rate at which you earn the Fragmented Souls. Forest Clearing - Defeat 15 enemies in the Haunted Forest with grenades. Forest Fire - Defeat 50 enemies in the Haunted Forest with auto rifles. Masked Mayhem - Defeat 15 Guardians in the Crucible while wearing a Festival of the Lost mask. Masked Strike - Complete a Strike while wearing a Festival of the Lost mask. Masked Intentions - Complete a Gambit match while wearing a Festival of the Lost mask. 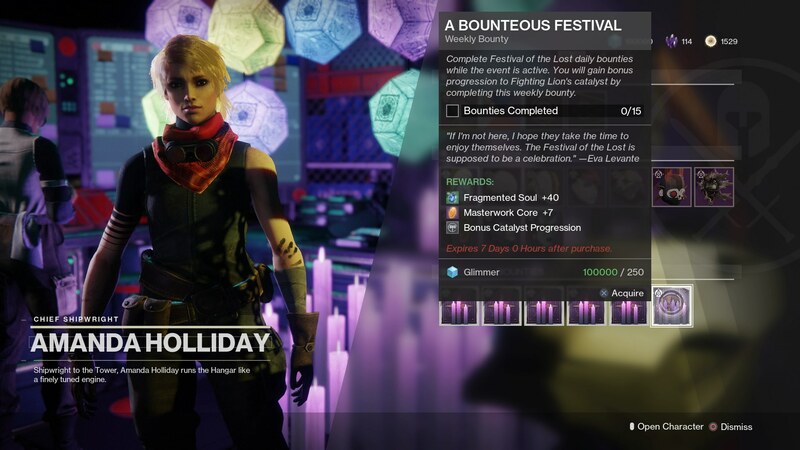 Finally, there’s the ‘Bounteous Festival’ Weekly Bounty which you can undertake from Holliday. This rewards you with 40 Fragmented Souls, but to accomplish this Weekly Bounty, you’ll have to rise and repeat the Bounties we’ve listed above, a total of 15 times. Just below, you can check out the stats of the Horror Story. It’s definitely one of the main additions of the Festival of the Lost event, and if the grind is anything to go by, it’ll be a powerful weapon. But, the Horror Story isn't the only new addition to Bungie's FPS in the Festival of the Lost event. For a complete walkthrough of a brand new quest, head over to our Destiny 2 Lost Cryptarch guide.